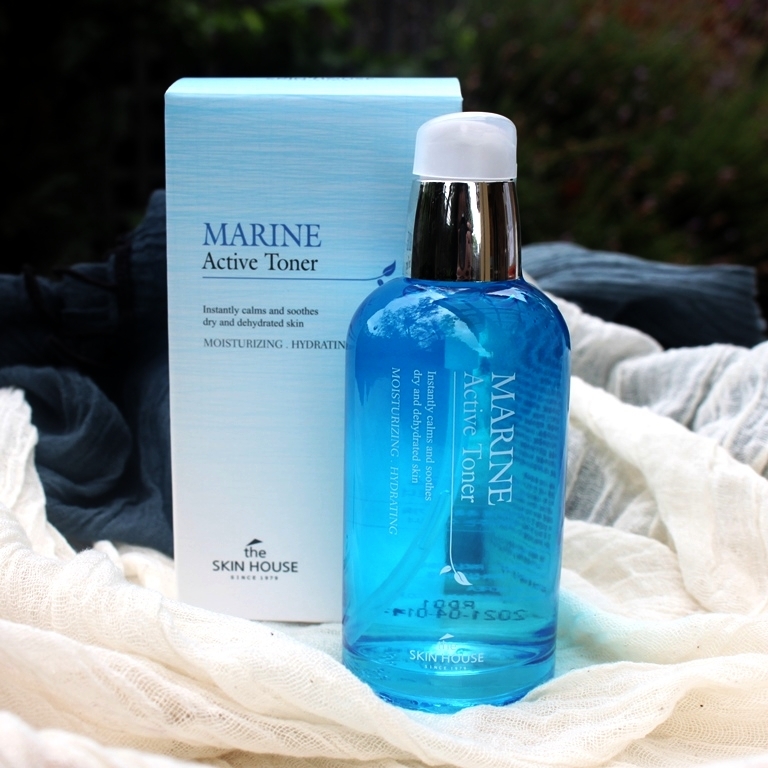 The Skin House Marine Active Toner claims to sink in quickly to hydrate the skin with hyaluronic acid and ceramides. 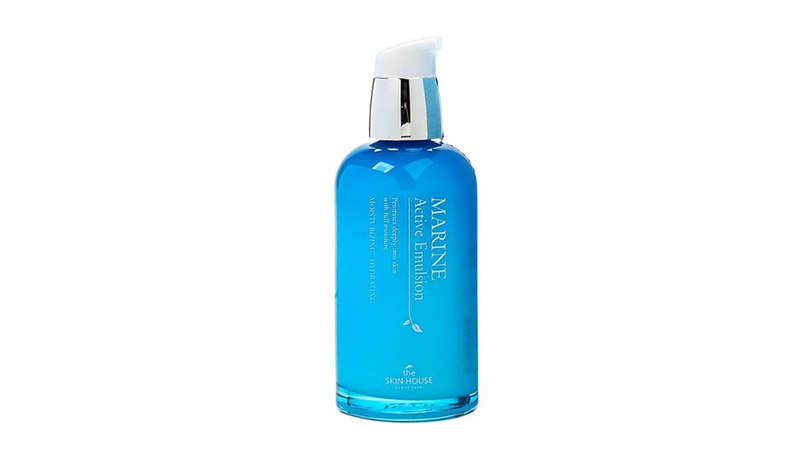 Deep sea water and seaweed extract make skin clean and bright without feeling sticky. 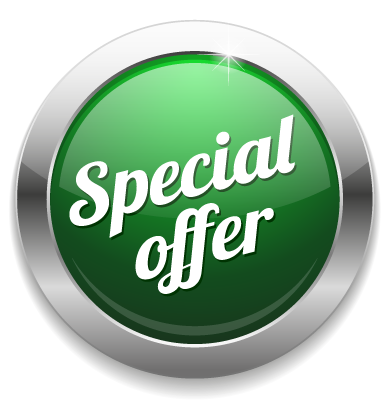 Hyaluronic Acid (HA) is naturally present in the human body. It draws up to 1000 times its weight in moisture from the atmosphere into the skin for a hydrated, plump and healthy appearance. Sodium Hyaluronate is the salt form of HA and present at a fair concentration, listed seventh on the ingredient list. 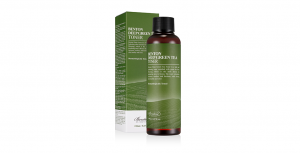 Humectants Glycerin, Propylene Glycol and Butylene Glycol similarly enhance hydration, the latter also assisting to increase the penetration of other ingredients. After HA, second of the hero hydrators is Ceramide NP. Ceramides are vital for healthy skin because they restore natural lipids lost due to environmental factors. Their water-retention capacity and ability to strengthen the moisture barrier provide skin replenishing and restoring benefits. Honey is composed of amino acids, peptides and antioxidants. 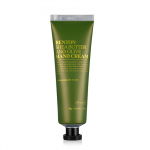 Moisturizing and soothing effects can hydrate the skin, leaving it soft and glowing. Natural sugars act as humectants and emollients that increase the water content and reduce dryness in the skin while also gently exfoliating for a radiant complexion. 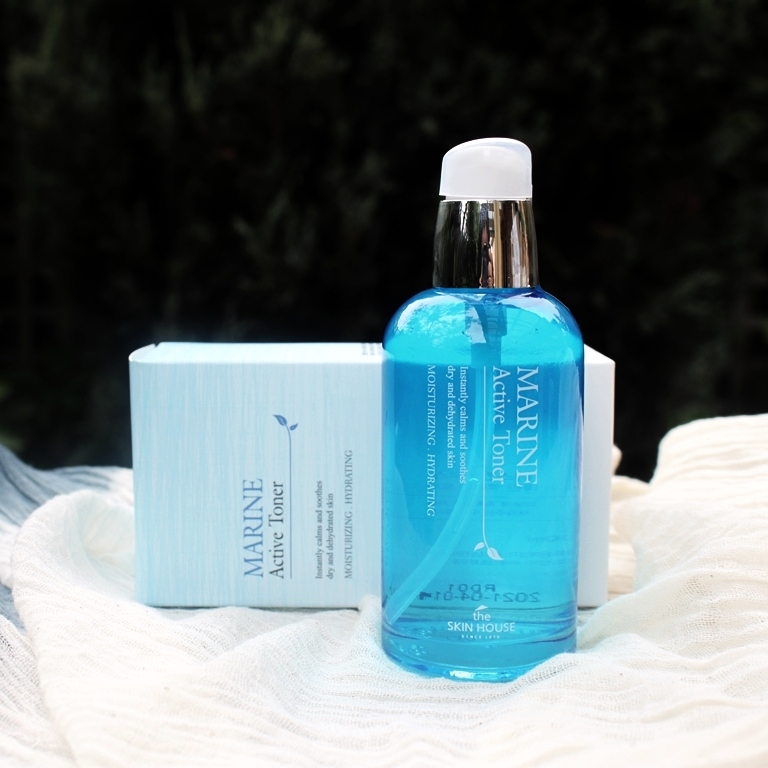 The star ingredients of a marine product are of course those sourced from the sea. Sea Water is packed with minerals including magnesium (anti-inflammatory, antimicrobial), calcium (cell growth and regulation) and potassium (cell function and water retention). 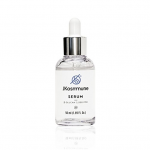 Its absorption power helps to extract toxins on the skin including acne-causing bacteria. 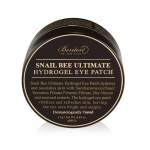 Natural moisture-reducing abilities can also help to regulate the overproduction of oil that leads to clogged pores. Note, Volcanic Rock Water also boasts a high mineral composition and similar benefits. Pearl Extract is packed with amino acids, antioxidants and provides more skin loving minerals to help protect and regenerate collagen. Algae Extracts deliver nourishing and detoxifying capabilities via marine minerals, amino acids, sea proteins and polysaccharides for deep hydration, antioxidant protection and cell renewal. More specifically, Hizikia also has a whitening effect by suppressing melanin synthesis and the natural (BHA) sugar in Codium Tomentosum also promotes exfoliation. 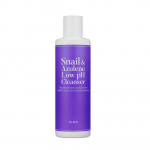 There are also some great moisturising ingredients midway in the list, namely Panthenol, Allantoin and Snail Secretion Filtrate. Arginine accompanies them to stimulate collagen promotion and boost antioxidant strength. Almost half the formula is represented by exotic botanical extracts. 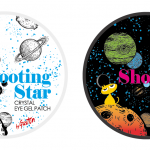 Their purpose is to impart antioxidant, anti-inflammatory and soothing properties to combat ageing, redness and irritation. There is also alcohol in the formula, which appears at position 9 of 45 ingredients. Alcohol can increase the speed with which a product dries to make it feel lighter and more enjoyable to use. However, the resultant drying effect that is experienced can lead to a weakened epidermal barrier. This results in less protection which increases risk of inflammation and accelerated ageing. The toner is presented in a heavy, blue tinted glass bottle with pump action dispenser. There is a small plastic cap that prevents accidental discharge. 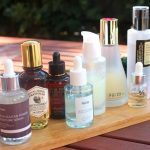 Both the CosDNA and EWG resources, rate the The Skin House Marine Active Toner as a moderate hazard with some warning flags against fragrance and PEGs. 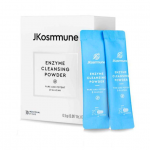 After cleansing, soak a cotton pad and swipe over the face along the skin texture. Pat until fully absorbed. This toner has a very slight smell. 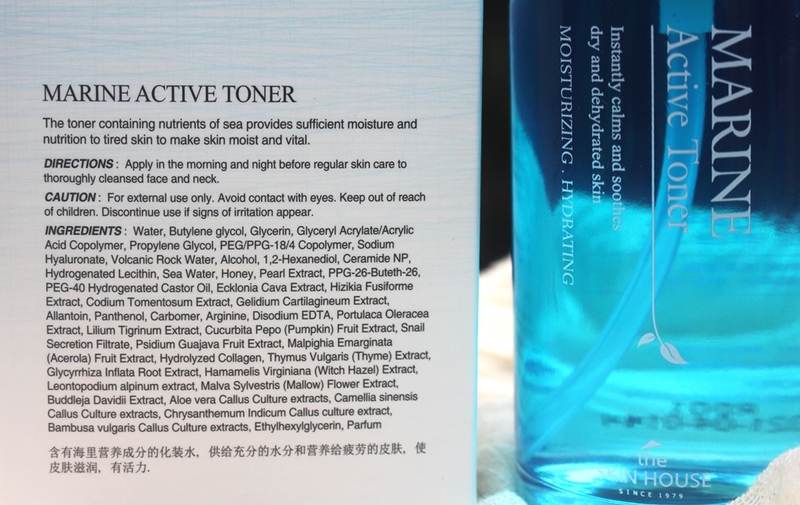 A 130ml bottle of The Skin House Marine Active Toner costs around AUD$27.50 (22,000원). 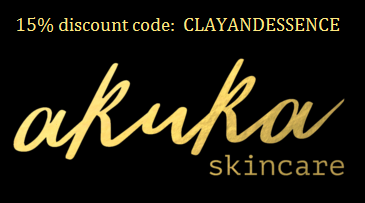 The Skin House products are available from the company website. Mine was gifted by the brand. The toner has a three year shelf life. I imagine it must be used within 12 months of opening, however was unable to locate this information on the primarily Korean packaging. 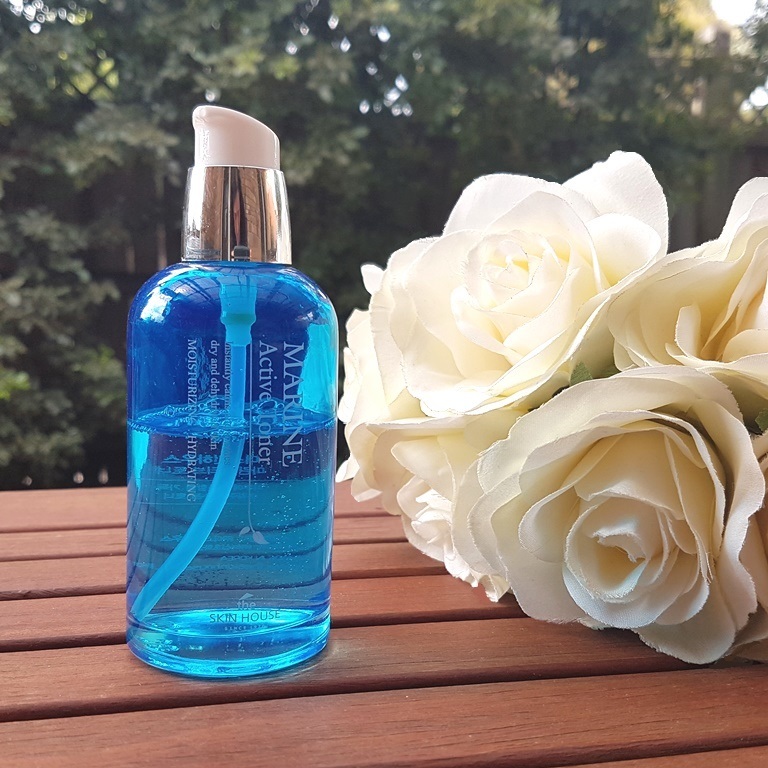 This toner is beautifully presented in a heavy glass, blue tinted, transparent bottle with a hygienic pump action dispensing mechanism. The protective cap is petite and helps to avoid unintentional discharge. Aesthetically, the Marine Active range is very pleasing. The toner itself has a nice weight and viscosity to it. It is thicker than water but still quite runny. There is the slightest scent to it also but it is not very obvious. It smells slightly medicinal, perhaps a reflection of the combination of botanical extracts and alcohol. 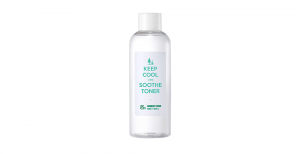 Given toner is usually the first step after cleansing, there are no layers before this product to help reduce the penetration of alcohol into the skin. And there lies my only problem with this product (which I will discuss a little later). I applied this product as my hydrating toner both morning and night for several weeks. Although instructions suggest soaking a cotton pad and swiping it over the face, I used my hands. (I reserve cotton pad application for acid toners only.) Two pumps for face and neck delivers generous coverage. It does dry down very quickly, again, a reflection of the alcohol which gives it an elegance in application and feel on the skin. 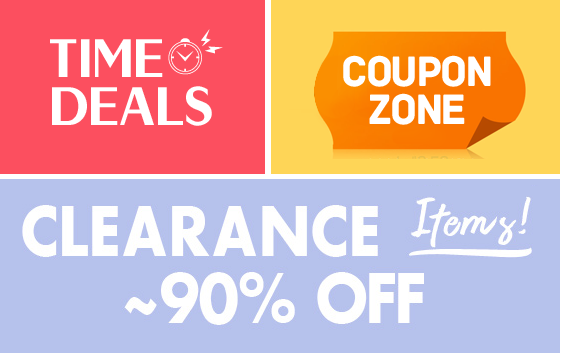 It absorbs rapidly leaving a slight tackiness immediately after use which fades quickly to no noticeable residue. Once applied, it does feel like the skin has had a moisture hit, so from a sensory perspective, it achieves the standard objective of a toner. There are some lovely botanical extracts and notable hydrators in the formula that help to achieve this result. I avoid toners with alcohol altogether. Toners are the closest layer to the skin since they comprise the first step of the skincare routine. Their impact is felt immediately. To be brutally honest, I would not have purchased this one after reviewing the INCI but it was gifted so as a sign of respect to the brand, I decided to try it. To my surprise, it performed well, better than expected. I actually liked it. 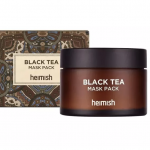 However, the effect of the alcohol became all too apparent when I started using this in combination with the Goodal Moisture Barrier Liquid and Innisfree Green Tea Seed Serum in an attempt to finish up these products. You see, all three formulas contain a good percentage of alcohol. Individually, none caused me any irritation. 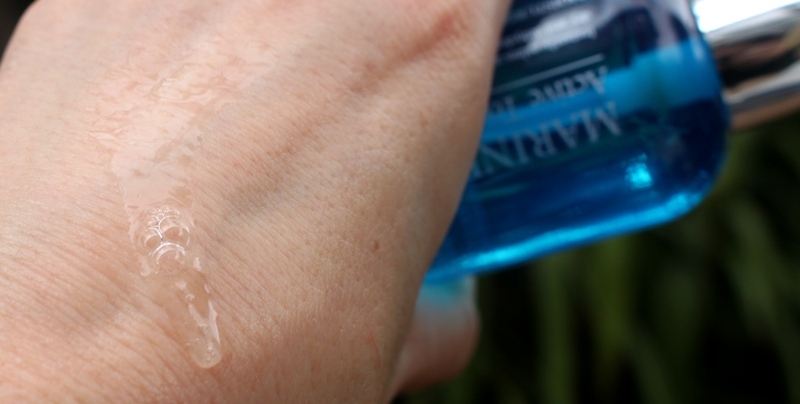 However, layering products with alcohol had a nasty impact on my skin. 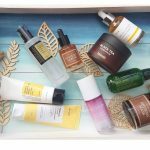 After including all three in the one routine for a few days, I found my skin react with a breakout of redness and irritation. It flared up a lot! Needless to say, I instantly stopped using all three and reached for my recovery products to help soothe my skin which took around a week. I can only conclude that in the long term, this toner would have damaged my moisture barrier with extended alcohol exposure. 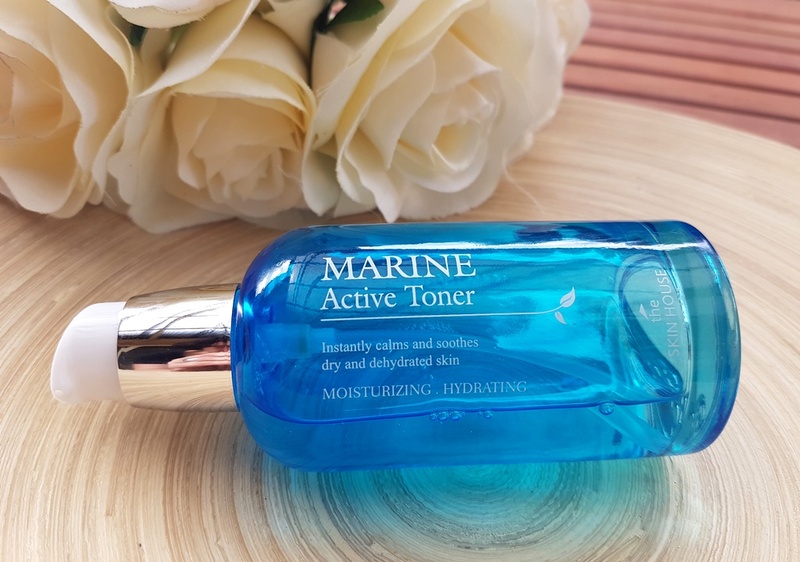 The Skin House Marine Active Toner feels nice on the skin and adds immediate moisture. Although a significant amount of alcohol in the formula contributes elegance to its application, it will eventually damage the skin barrier. Unfortunately, as such, this product does not earn my recommendation. This product was provided to me free of charge by The Skin House for review. 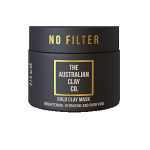 This post only includes my honest opinion and experience of this product and is in no way influenced by The Skin House, any of its representatives or any other third party.